COLOGNE, Germany -- Ford of Europe CEO Jim Farley will call for a level playing field for automakers when he meets with the British chancellor this week to discuss the financial implications of Britain's exit from the European Union. "We think it would be really unwise to disadvantage one company over another," Farley said in reference to the apparent deal secured by Nissan CEO Carlos Ghosn in October that led to the Japanese automaker promising increased investment in its plant in Sunderland, England. "We've got more employees than Nissan in the UK and half those are engineers, high intellectual property jobs, very important jobs," Farley told Automotive News Europe at the sidelines of the launch of the new Fiesta small car here on Tuesday. He said that Ford was the UK's No. 2 automaker in terms of employees after Jaguar Land Rover. Ford builds engines in two UK plants, as well carrying out r&d in the country, but has no vehicle manufacuring. Farley will meet with UK chancellor Philip Hammond this week. "We're really excited to talk to the UK government. It's really important to get clarity around the tariff situation," he said. Britain would lose its free trade agreement with the EU if it failed to agree terms to stay in the single market, something Farley said he was keen to avoid. The local manufacturers' association, the SMMT, said on Tuesday that applying tariffs could push up the cost of an imported car by 1,500 pounds. It quoted analysis saying EU tariffs on cars could add "at least" 2.7 billion pounds annually to imports and 1.8 billion pounds to exports. Farley said that UK car sales have remained unexpectedly buoyant since the country voted to leave the EU in June. Ford has "modestly" increased European production again after reducing it in anticipation of falling sales after the vote. However Ford is seeing more discounting. "We have seen some deterioration in pricing and the mix of the sales - more Mobility [discounted sales to registered invalid customers], rental and self registered, which we didn't follow," he said. He said Ford hasn't revised its total predicted $1.2 billion impact in the next years because of depreciation of the pound against the euro. "We were hedged to the first quarter of 2017 but then we’re going to feel the force of a weaker sterling," he said. 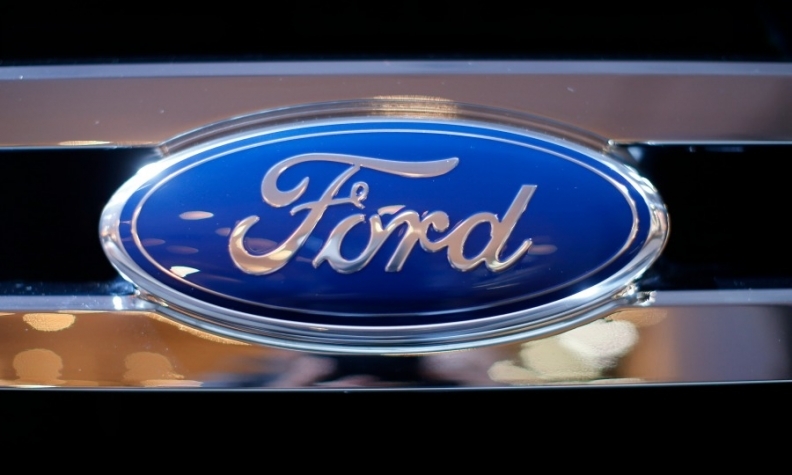 Ford imports 75 percent of its 450,000 UK-sold vehicles from EU countries, he said.